In celebration of London Cocktail Week and International Coffee Day, we were treated to a whole host of Tia Maria cocktails including the Tia Mint Americano and the Tia Flat White, both photoed above and both absolutely incredible. 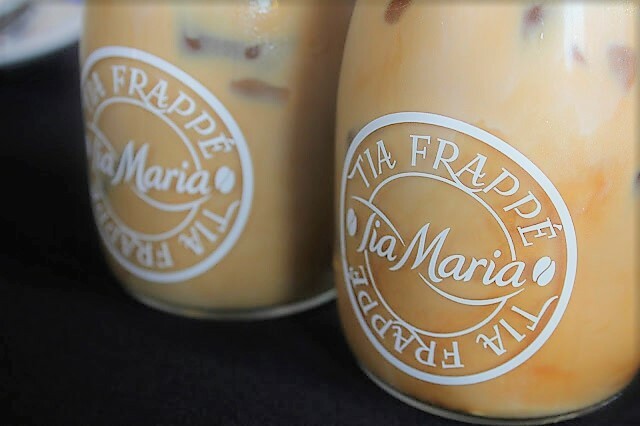 Considering how much I love coffee, I’d never really considered Tia Maria as a drink, after these that is definitely changing. Food provided by a Duck and Waffle chef was life changingly good. Just absolutely next level, I can’t even begin to put it into words. It beats my usual breakfast of a Belvita – and I really love Belvitas. After all the food and drink, we took part in a coffee cocktail masterclass with Dan Lacey of Extract Coffee and Tia Maria Brand Ambassador Rainbow. Haydy and I might not have made the winning espresso martini, but it tasted like a winner. That might have been influenced by the 3 other cocktails we’d downed by 12pm on a Sunday, though I think that can be overlooked. As a coffee nerd, it’s really interesting to learn more about the process and what truly goes into making a good cup of coffee, spoilers, it’s not instant. Thanks for having us Tia Maria! This post was in no way sponsored or paid for, I had an incredible time and wanted to share the experience. Until next time Tia Maria.